Over the last few weeks I have read numerous articles relating to children in poverty, once smart and prosperous areas that are now suffering the ill effects of a small group of thuggish criminal youths and another area that is blighted by excessive littering and antisocial behaviour. 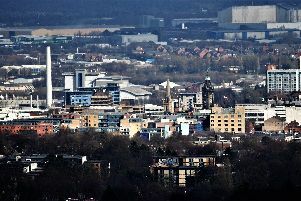 All of these things have something in common, they are all a result of Sheffield importing tens of thousands of problem families into its midst and as such being seen as a soft-touch City of Sanctuary, a place that feels it needs to understand the reasoning behind everything and make excuses for bad behaviour. It does not. No more excuses, no more compromise.